Frances Sackett studied creative writing at Harvard and has an MFA from Mills College. For the past fifteen years she has worked as an editor and writing teacher. She lives in Los Angeles with her two children. This is her first novel. 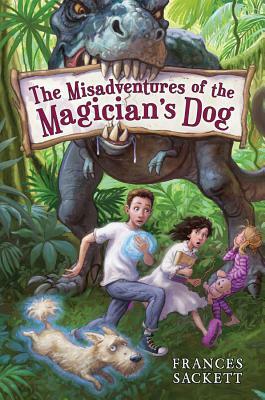 For years she thought about writing a story about a dog that used to belong to a magician, but, she writes, "I couldn't quite figure out who would adopt the dog and what would happen next. Then our country went to war, and I became a little obsessed with the idea of deployed service people. And that's when it clicked. I wanted to write a story that was fun and joyful and adventurous but that also peeled back some the complicated emotions this boy would feel about having his father gone."